The magic of their live show caught the attention of producer Ken Coomer (Wilco, Uncle Tupelo), who joined with the band to record their third full-length album. Their most ambitious project to date, Running From Love was recorded at Nashville's historic Sound Emporium, and once again features Hoyer's trademark vocals and the band's signature groove. The album is set for release on April 8, 2016, on Silver Street Records, and will be released on vinyl, CD and digital formats. The hard working band completed several national tours in 2015, playing more than 150 shows in 32 states, including opening for R&B legends George Clinton/Funkadelic and Booker T Jones. During small breaks from relentless touring, Josh Hoyer and Soul Colossal also recorded two albums last year - Running From Love, and a live album, Cooked Raw, that was released in November on limited edition vinyl. 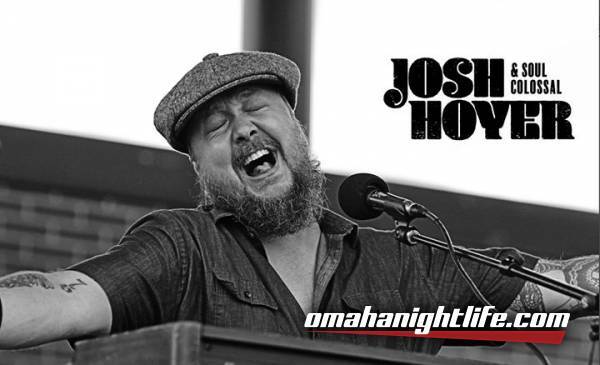 Hoyer formed Josh Hoyer and Soul Colossal in 2012 in famed blues town Lincoln, Nebraska. The award-winning six-piece band includes some of the area's most revered and accomplished musicians. Inspired by Stax, Motown, New Orleans, Philly and San Francisco, the band continuously crosses musical boundaries both in style and era, and joins forces each show with a common goal - to have the crowd dancing so much they forget even their smallest troubles. The band will support the release of the new album with a tour through the Midwest and Southern markets, including Omaha, Denver, Milwaukee, Madison, Minneapolis, Chicago, St Louis, Indianapolis, and Nashville, among others.